Provide comfort for the family of Jayne Peekhaus with a meaningful gesture of sympathy. 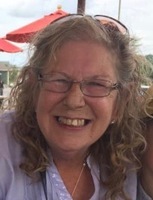 It is with heavy hearts that the family of Mrs. Jayne Peekhaus announce her sudden passing on Thursday, March 28, 2019 at the age of 63. She leaves in mourning her children Jennifer (Steve) of Dryden ON, Peter (Taurie) of Englehart ON, her grandchildren Chloe, Samuel, Laeken and Liam. Pre-deceased by her husband Peter, her parents James Shedden and Pat (nee Dorey). The family will receive friends at a Celebration of Life on Saturday, April 27, 2019 from 2:00pm - 4:00pm at the Rebekah Lodge, 48 4th Ave. Englehart, Ontario. At the request of the family memorial donations may be made to the charity of your choice. Condolences, contributions and memorial candles may be left at www.mcdonaldfuneralhome.ca. 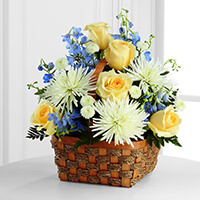 To send flowers in memory of Jayne Peekhaus, please visit our Heartfelt Sympathies Store. We encourage you to share your most beloved memories of Jayne here, so that the family and other loved ones can always see it. You can upload cherished photographs, or share your favorite stories, and can even comment on those shared by others. Tim Horton's Team Iroquois Falls sent flowers to the family of Jayne Peekhaus. Our deepest condolences to the family, We were truly blessed to have known and worked with Jane . Tim Horton's Team Iroquois Falls purchased the The FTD Heavenly Scented Basket for the family of Jayne Peekhaus.